Stable companions Magic Wand and Forever Together lock horns for third time this season in the Darley Irish Oaks at the Curragh on Saturday. 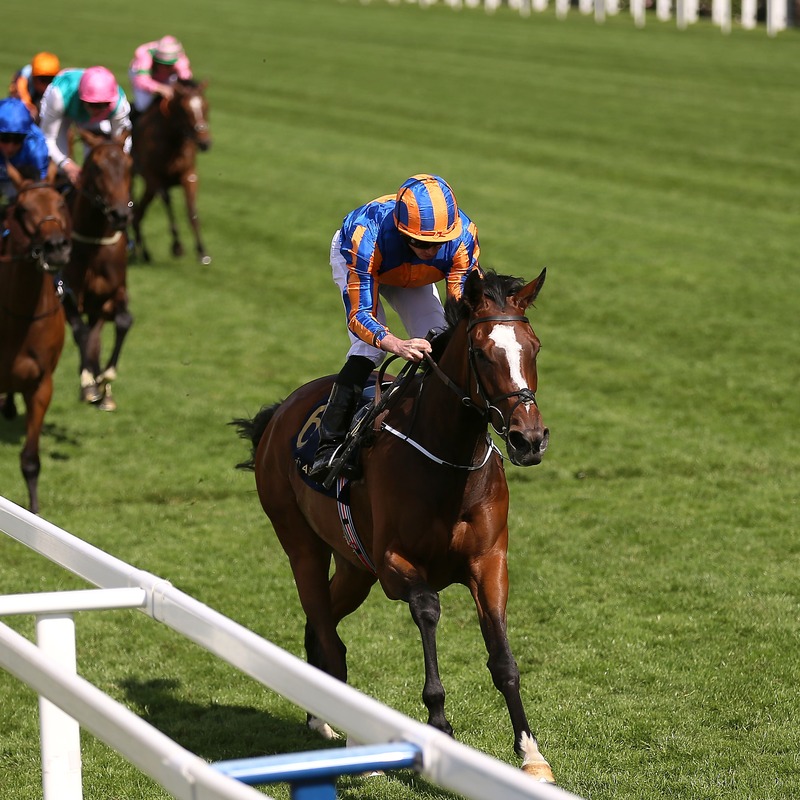 Magic Wand was a comfortable winner when the Ballydoyle pair met at Chester in the spring, but Forever Together raised her game to turn the tables and claim Classic glory in last month’s Investec Oaks at Epsom. Having finished only fourth at Epsom, Magic Wand appeared a different proposition when impressing in the Ribblesdale Stakes at Royal Ascot, whereas Forever Together did not appear as effective back at a mile and a quarter when a beaten odds-on favourite in the Pretty Polly three weeks ago. Speaking ahead of their latest clash, trainer Aidan O’Brien told Press Association Sport: “Magic Wand seems to be in good form since Ascot. Obviously she likes a nice bit of ground. It was nice in Ascot. “Forever Together is in good form as well. She ran a nice race the last day and she looked like a filly that will appreciate going further. She’s back to a mile and a half like the Epsom Oaks again. With Ryan Moore partnering Magic Wand, the trainer’s son Donnacha O’Brien is looking forward to getting back on board Forever Together, having steered her to success at Epsom. “If she comes back to her Epsom form she’ll be bang there,” the jockey told At The Races. “I think the trip probably wasn’t ideal (in the Pretty Polly). She races lazily and she has cheekpieces on on Saturday. O’Brien also saddles Bye Bye Baby as he bids for his sixth Irish Oaks success, which would put him level with Sir Michael Stoute. Widely regarded as the biggest threat to the O’Brien trio is the William Haggas-trained British challenger Sea Of Class, who has her sights raised following successive Listed triumphs at Newbury. Haggas said: “Sea Of Class is in good form, we are very happy with her and she pleased us (when she worked) at Newmarket last week. “It will be a tough race, but we are looking forward to it. We think a mile and a half is the trip she wants now and the Curragh should suit. The seven-strong field is completed by Joseph O’Brien’s Tissiak, the Willie McCreery-trained Mary Tudor and Romiyna from Dermot Weld’s yard. The latter made a winning debut at Gowran in May before finishing sixth when favourite for the Naas Oaks Trial last month. “She’s a filly I like a lot. She’s unproven to a certain extent – she won her maiden very impressively and then ran a reasonable race in the Oaks Trial at Naas, where she found the distance a little short and the ground just a little fast,” said Weld. Weld added: “She definitely requires safe ground, by that I mean good to firm and more good than firm, an ease in the ground is all I request. “My concern is the ground will be too firm, but hopefully the Curragh will have the ground safe to encourage people to run as we want to run them.